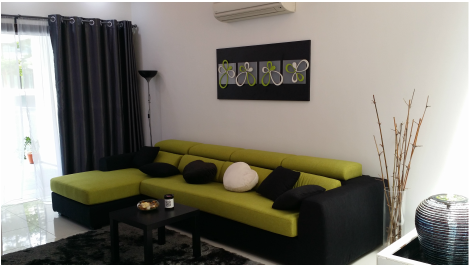 Johor Homestay apartment comprises of 5 bedrooms with an individual bathroom each and a spacious living room. It is a fully furnished residence with separate balcony, dining, kitchen and bedroom areas. It also has a fully equipped kitchenette with cookers, tea set, washing machine, microwave, oven, toaster and a refrigerator. With complimentary high speed wi-fi access and television with a large variety of cable channels. Guests will feel the vibrant atmosphere, be it day or night, allowing an opportunity for all to immerse. Apartment interior decoration and furniture is new and combined with modern features. Co﻿me Stay With Us﻿ . . . Rent the perfect place for your needs with us. 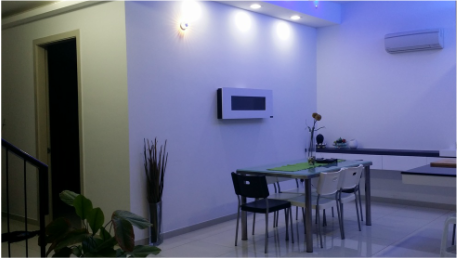 Find a cozy, spacious, and modern rental home in Johor to share with family and friends. Make yourself at home and plan trips to see Legoland Malaysia, Science Park and Holland Village. Johor Homestay Services is one of the leading providers of affordable, quality, secure and comfortable accommodation in Malaysia, Johor.